in pharmacy and its effect on various cancer types have been reviewed. 1. Zingiberis rhizoma, ESCOP Monographs 2nd ed.Suppl. 2009: pp 289-303. 2. Baytop AT: Farmasötik Botanik Ders Kitabı. İ.Ü. Basımevi ve Film Merkezi; İstanbul, Türkiye, 1996. 3. Farnsworth RF, Fong HHS, Mahady GB. Zingiber officinale. In: WHO Monographs on Selected Medicinal Plants Volume 1, WHO Publications; Geneva, Switzerland. 1999: pp 277-287. 4. Rahmani AH, Al Shabrmi FM, Aly SA: Active ingredients of ginger as potential candidates in the prevention and treatment of diseases via modulation of biological activities. International Journal of Physiology Pathophysiology and Pharmacology 2014, 6(2):125-136. 5. Kaplan H: Zencefilin (Zingiber Officinale Roscoe) Bitkisel Özellikleri ve Yetiştiriciliği. Derim dergisi 2005, 22(2):1-9. 6. Bode AM, Dong Z. Chapter 7-The Amazing and Mighty Ginger. In: Benzie IFF, Wachtel-Galor S (eds), Herbal Medicine: Biomolecular and Clinical Aspects 2nd edition. CRC Press/Taylor & Francis; Boca Raton, Florida. 2011: pp 131-156. 7. http://myherbsweblog.blogspot.com.tr/2010/11/ginger-plant-is-that. html. 8. Surh YJ, Lee E, Lee JM: Chemoprotective properties of some pungent ingredients present in red pepper and ginger. Fundamental and Molecular Mechanisms of Mutagenesis 1997, 402 (1998):259–267. 9. Choudhury D, Das A, Bhattacharya A, Chakrabarti G: Aqueous extract of ginger shows antiproliferative activity through disruption of microtubule network of cancer cells. FoodChem. Toxicol. 2010, 48(10):2872–2880. 10. Manju V, Nalini N: Chemopreventive efficacy of ginger, a naturally occurring anticarcinogen during the initiation, post-initiation stages of 1,2 dimethylhydrazine-induced colon cancer. Clin. Chim. Acta 2005, 358(1-2):60–67. 11. Park KK, Chun KS, Lee JM, Lee SS, Surh J: Inhibitoryeffects of 6-gingerol, a major pungent principle of ginger, on phorbol ester-induced inflammation, epidermal ornithine decarboxylase activity and skin tumor promotion in ICR mice. Cancer Lett. 1998,129(2):139– 144. 12. Prasad S, Tyagi AK: Ginger and Its Constituents: Role in prevention and treatment of gastrointestinal cancer. Gastroenterology Research and Practice 2015,1-11. 13. Sang S, Hong J, Wu H, Liu J, Yang CS, Pan M, Badmaev V, Ho CT: Increased growth inhibitory effects on human cancer cells and anti-Inflammatory potency of shogaols from Zingiber officinale relative to gingerols. Journal of Agricultural and Food Chemistry 2009, 57(22):10645–10650. 14. Lin CB, Lin CC, Tsay GJ: 6-Gingerol inhibits growth of colon cancer cell LoVo via induction of G2/M Arrest. Evidence-Based Complementary and Alternative Medicine 2012, 1-7. 15. Radhakrishnan EK, Bava SV, Narayanan SS, Nath LR, Thulasidasan AKT, Soniya EV, Anto RJ: -Gingerol induces Caspase-dependent apoptosis and prevents PMA-induced proliferation in colon cancer cells by Inhibiting MAPK/AP-1 Signaling. PLoS ONE 2014, 9(8):1- 13. 16. Wee LH, Morad NA, Aan GJ, Makpol S, Ngah WZW, Yusof YAM: Mechanism of Chemoprevention against colon cancer cells using combined gelam honey and ginger extract via mTOR and Wnt/β-catenin pathways. Asian Pacific Journal of Cancer Prevention 2015, 16(15):6549-6556. 17. Park GH, Park JH, Song HM, Eo HJ, Kim MK, Lee JW, Lee MH, Cho KH, Lee JR, Cjo HJ, Jeong JB: Anti-cancer activity of Ginger (Zingiber officinale) leaf through the expression of activating transcription factor 3 in human colorectal cancer cells. BMC Complementary and Alternative Medicine 2014, 14(408):1-8. 18. Zick SM, Turgeon DK, Vareed SK, Ruffin MT, Litzinger AJ, Wright BD, Alrawi S , Normolle DP, Djuric Z, Brenner DE: Phase II Study of the effects of ginger root extract on eicosanoids in colon mucosa in people at normal risk for colorectal cancer, Cancer Prevention Research 2011, 4(11):1929–1937. 19. Jiang Y, Turgeon DK, Wright BD, Sidahmed E, Ruffin MT, Brenner DE, Sen A, Zick SM: Effect of ginger root on cyclooxygenase-1 and 15hydroxyprostaglandin dehydrogenase expression in colonic mucosa of humans at normal and increased risk of colorectal cancer. Eur J Cancer Prev. 2013, 22(5):455–460. 20. Citronberg J, Bostick R, Ahearn T, Turgeon DK, Ruffin MT, Djuric Z, Sen A, Dean E. Brenner DE, Zick SM: Effects of ginger supplementation on cell cycle biomarkers in the normal-appearing colonic mucosa of patients at increased risk for colorectal cancer: Results from a Pilot, Randomized, Controlled Trial. Cancer Prevention Research 2013, 6(4):271–281. 21. Plengsuriyakarn T, Viyanant V, Eursitthichai V, Tesana S, Chaijaroenkul W, Itharat A, Na-Bangchang K: Cytotoxicity, toxicity, and anticancer activity of zingiber officinale Roscoe Against Cholangiocarcinoma. Asian Pacific Journal of Cancer Prevention 2012, 13(9):4597-4606. 22. Yue Zhou Y, Li Y, Zhou T, Zheng J, Li S, Li HB: Dietary natural products for prevention and treatment of liver cancer. Nutrients 2016, 8(3):156. 23. Mansour MA, Bekheet SA, Al-Rejaie SS, Al-Shabanah OA, Al-Howiriny TA, Al-Rikabi AC, Abdo AA: Ginger ingredients inhibit the development of diethylnitrosoamine induced premalignant phenotype in rat chemical hepatocarcinogenesis model. Biofactors 2010, 36(6):483–490. 24. Habib SH, Makpol S, Abdul HN, Das S, Ngah WZ, Yusof YA: Ginger extract (Zingiber officinale) has anti-cancer and anti-inflammatory effects on ethionine-induced hepatoma rats. Clinics 2008, 63(6):807–813. 25. Vijaya PV, Arul DCS, Ramkuma KM: Induction of apoptosis by ginger in HEp-2 cell line is mediated by reactive oxygen species. Basic Clin. Pharmacol. Toxicol. 2007, 100(5):302–307. 26. Weng CJ, Wu CF, Huang HW, Ho CT, Yen GC: Anti-invasion effects of 6-shogaol and 6-gingerol, two active components in ginger, on human hepatocarcinoma cells. Mol. Nutr. Food Res. 2010, 54(11):1618–1627. 27. Yusof YAM, Ahmad N, Das S, Sulaiman S, Murad NA: Chemopreventive efficacy of ginger (Zingiber officinale) in ethionine induced rat hepatocarcinogenesis. African Journal of Traditional, Complementary and Alternative Medicines 2009, 6(1):87-93. 28. Akimoto M, Iizuka M, Kanematsu R, Yoshida M, Takenaga K: Anticancer effect of ginger extract against pancreatic cancer cells mainly through reactive oxygen Species-mediated autotic cell death. Plos One 2015, 10(5):1-22. 29. Karna P, Chagani S, Gundala SR, Rida PCG, Asif G, Sharma V, Gupta MV, Aneja R: Benefits of whole ginger extract in prostate cancer. Br J Nutr 2012, 107(4):473–484. 31. Ray A, Vasudevan S, Sengupta S: 6-Shogaol inhibits breast cancer cells and stem cell-like spheroids by modulation of Notch Signaling Pathway and induction of autophagic cell death. PLoSONE 2015, 10(9):1-22. 32. Rastogi N, Duggal S, Singh SK, Porwal K, Srivastava VK, Maurya R, Bhatt MLB, Mishra DP: Proteasome inhibition mediates p53 reactivation and anticancer activity of 6-Gingerol in cervical cancer cell. Onkotarget 2015, 6(41):43310-25. 33. Rhode J, Fogoros S, Zick S, Wahl H, Griffith KA, Huang J, Liu JR: Ginger inhibits cell growth and modulates angiogenic factors in ovarian cancer cells. BMC Complementary and Alternative Medicine 2007, 7(44):1-9. 34. Cheng Yao C, Oh JH, Oh IG, Park CH, Chung JH: -Shogaol inhibits melanogenesis in B16 mouse melanoma cells through activation of the ERK pathway. Acta Pharmacologica Sinica 2013, 34 (2013):289–294. 35. Huang HC, Chang SJ, Wu CY, Ke HJ, Chang TM: -Shogaol Inhibits 𝛼-MSH-Induced Melanogenesis through the acceleration of ERK and PI3K/Akt-mediated MITF degradation. BioMed Research International 2014, 1-9. 36. Liu Q, Peng YB, Zhou P, Qi LW, Zhang M, Gao N, Liu EH, Li P: 6-Shogaol induces apoptosis in human leukemia cells through a process involving caspase-mediated cleavage of eIF2α. Molecular Cancer 2013, 12(135):1-12. 37. Lee DH, Kimb DV, Jungc CH, Leea YJ, Parkd D: Gingerol sensitizes TRAIL-induced apoptotic cell death of glioblastoma cells. Toxicol Appl Pharmacol 2014, 279(3): 253–265. 38. Liu Y, Whelan RJ, Pattnaik BR, Ludwig K, Subudhi E, Rowland H, Claussen N, Zucker N, Uppal S, Kushner DM, Felder M, Patankar MS, Kapur A: Terpenoids from Zingiber officinale (Ginger) induce apoptosis in endometrial cancer cells through the activation of p53. PLoS ONE 2012, 7(12):1-10. 39. Rahman S, Salehin F, Asif I: In vitro antioxidant and anticancer activity of young Zingiber officinale against human breast carcinoma cell lines. BMC Complementary and Alternative Medicine 2011, 11(76):1-7. ISNAD OSMANLIOĞLU-DAĞ, Ş.Rumeysa , Kuruüzüm-Uz, Ayşe . "Ginger’s Place in Pharmacy and Antitumor Effect". 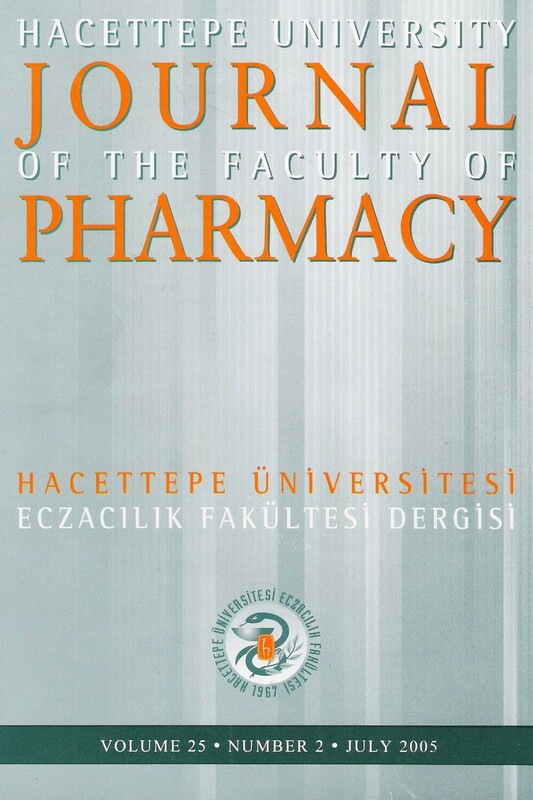 Hacettepe University Journal of the Faculty of Pharmacy 38 / 2 (June 2018): 76-84.